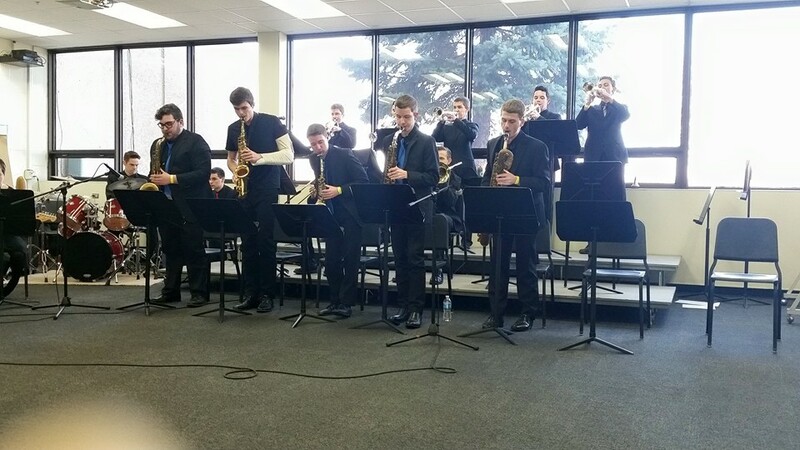 Rolling Meadows High School Jazz competition is celebrating its 31st year of Jazz in the Meadows, the largest high school jazz event/competition in the Midwest. This event, held by Rolling Meadows High School, is on Saturday, February 27, 2016. Dozens of high-school and junior-high jazz bands from all over the Midwest (and further) come to play and compete in over 100 performances. Everyone gets a great day of jazz and enjoys performances by some of the top school music programs and professionals in the jazz arena. Beyond the actual participants, Jazz in the Meadows has become an event to be marked on the calendar for local jazz enthusiasts as well. The general public is welcome to attend and take in performances throughout the day and evening. While this is an educational event, guests will have the opportunity to listen to some of the top jazz bands and combos from Illinois, Indiana, Wisconsin, Iowa, and Missouri (see below for participating schools). Many of the jazz bands and combos participate in the competitive portion of the event in an effort to achieve top honors in their specific categories and earn the opportunity to participate in the grand finale concert at the end of the day.